2013, the 100th edition of the Tour de France. But what if the greatest race of all times has yet not taken place? 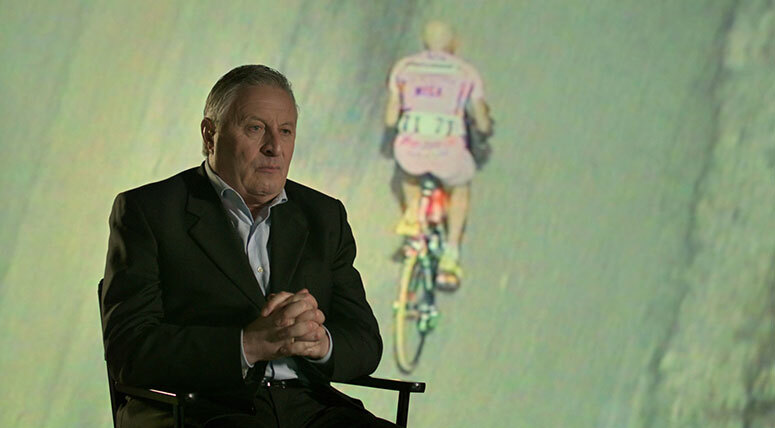 The King of Mont Ventoux pits five cycling heroes against each other during the Tour de France in an unprecedented race beyond the bounds of time. 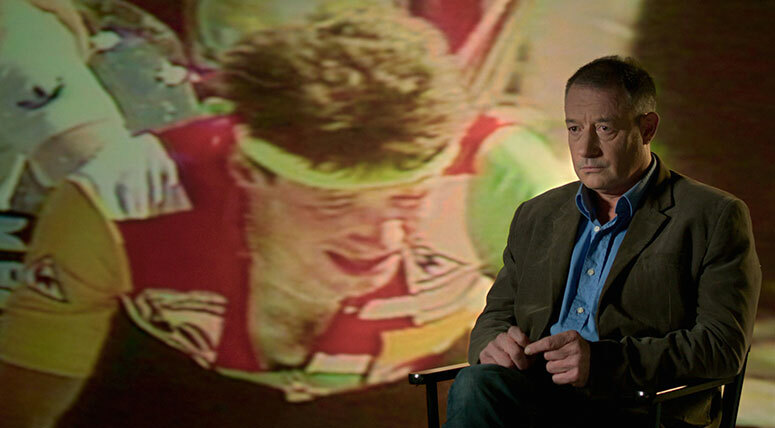 Crossing the verge of sports, the documentary explores the extraordinary evolution of competitive cycling over the last 40 years. 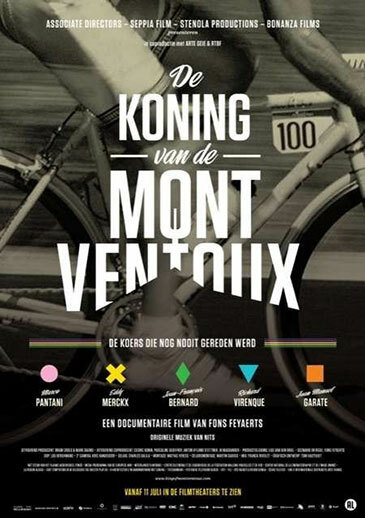 Who will become the king of the Mont Ventoux ? Merckx, Bernard, Virenque, Pantani or Garate ? 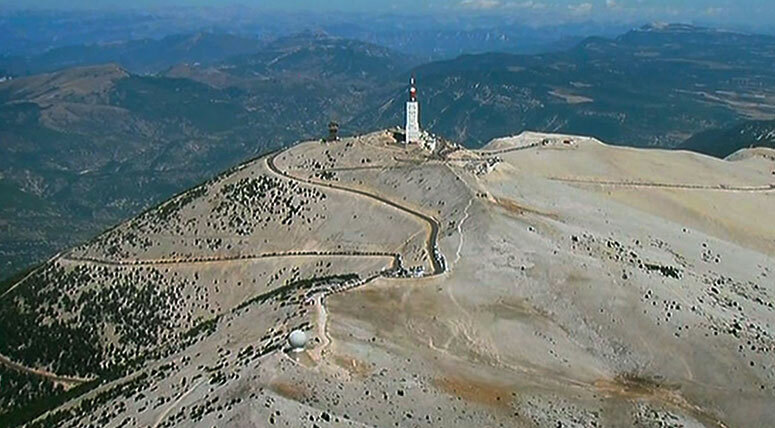 At the top of the Mont Ventoux hangs a huge poster with the names of all the cyclists who have won the Tour de France stages to the summit of this legendary “Giant of the Provence”. Five of these stages were broadcasted on television. Five stages, five winners. Which of these winners is the greatest climber of them all? 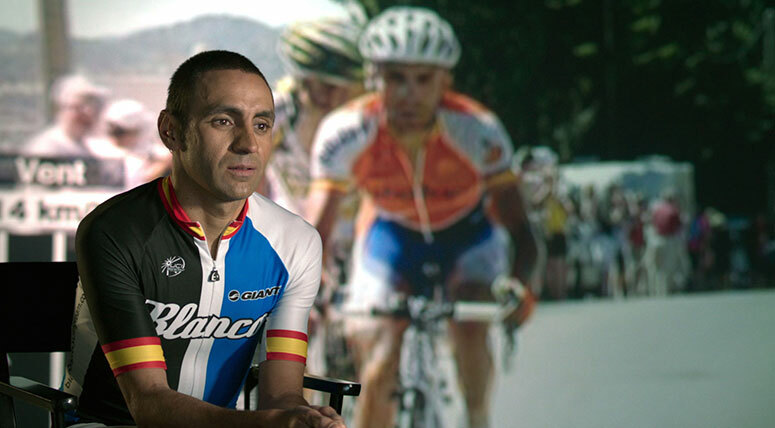 Eddy Merckx (1970), Jean-François Bernard (1987) Richard Virenque (2002), Marco Pantani (2000) or Spanish Juan Manuel Garate (2009)? 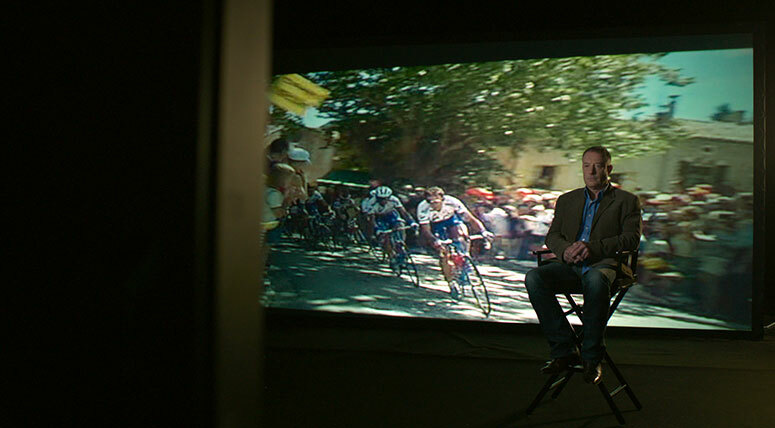 The King of Mont Ventoux is a synchronized virtual race and comes like a live broadcast, with archive footage of the 5 climbs, todays studio-interviews with the key characters, graphics marking the positions of the racers and a new soundtrack with the voice over of well known commentary men. Starting together at the foot of the giant, they battle it out over the 21-km ascent, along a winding forest road to the lunar-like summit of the ‘Bald Mountain’; a gruelling one-hour test of endurance and strength, resulting in a fictive contest where Merckx, Bernard, Pantani, Virenque and Garate compete against each other in an exciting race that remains undecided until the last mile..
Next to this imaginary race, this innovative film also offers a unique reflection on the history of cycling as a sport. Four of these champions are interviewed while they watch this new competition. 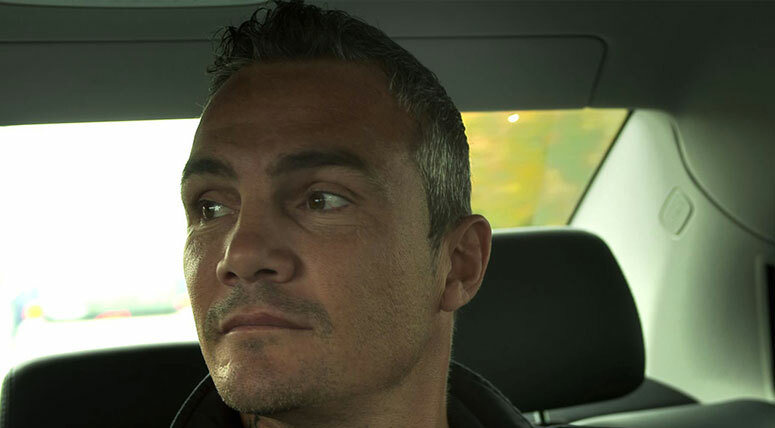 The seat of the deceased Pantani is taken by his former manager Davide Boifava. As they each watch this new race for the first time, they react ‘live’ and are full of excitement about the outcome. 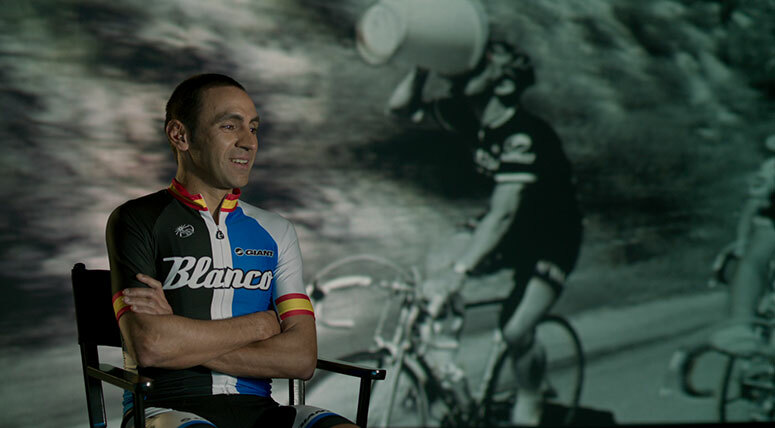 At the same time, they look back on their own career, the evolution of the cycling competition, the philosophy of their sport and what boundaries they pushed in order to achieve their ultimate victory.